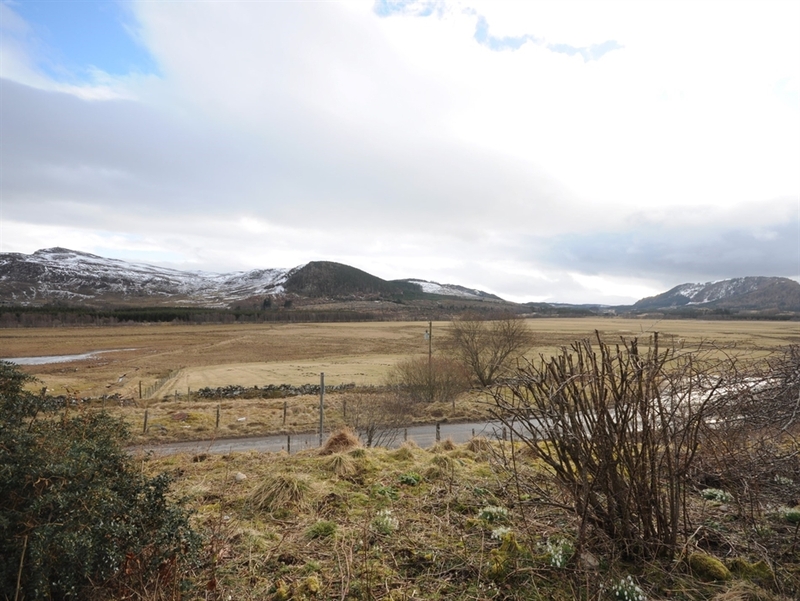 Detached bungalow in quite and peaceful location situated in its own grounds on a working sheep farm; the cottage takes advantage of the wonderful views over fields to the River Spey and Lochaber Hills beyond. 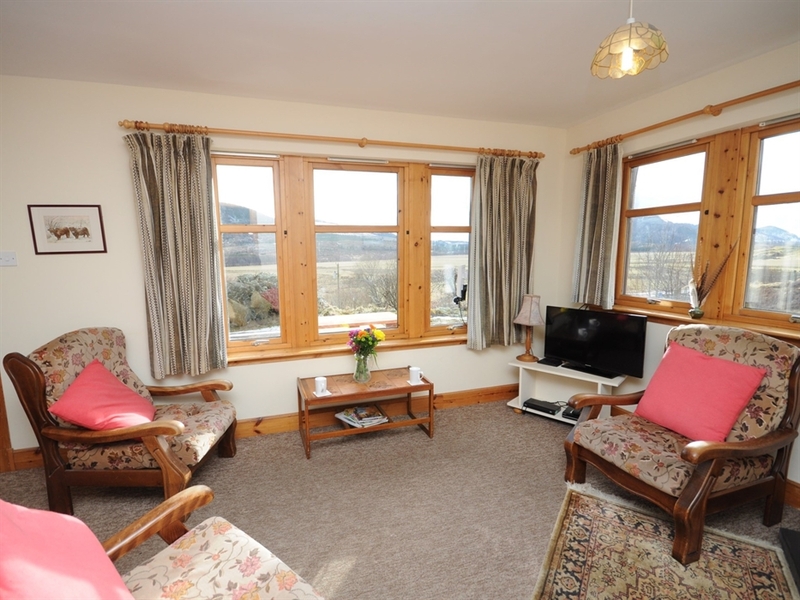 The property offers homely and welcoming accommodation with extensive use of natural wood nearby. 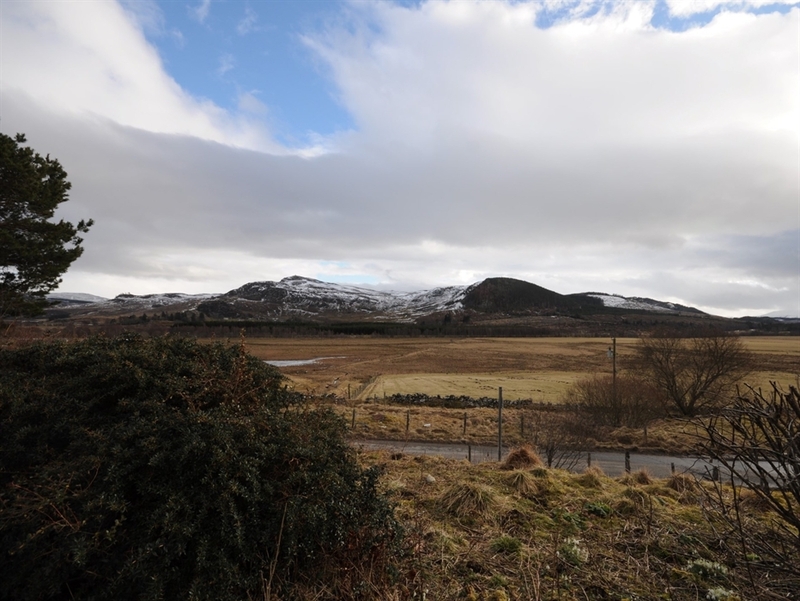 The village of Laggan is situated in the South West of the Cairngorms National Park and is surrounded by the Monadhliath and Grampian mountain ranges. 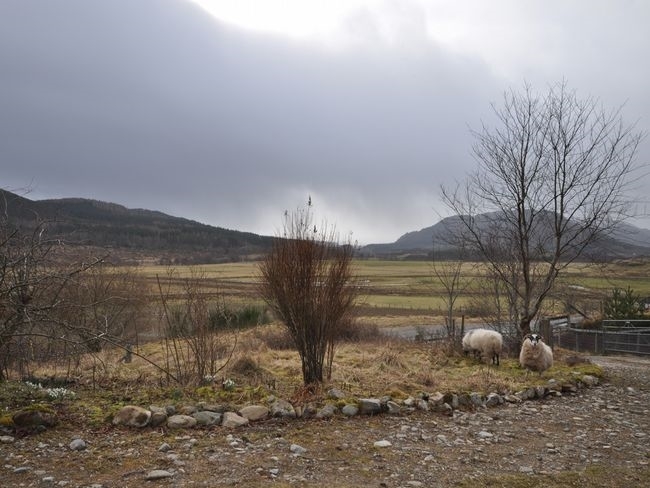 The very successful BBC TV series Monarch of The Glen was filmed in and around the area. 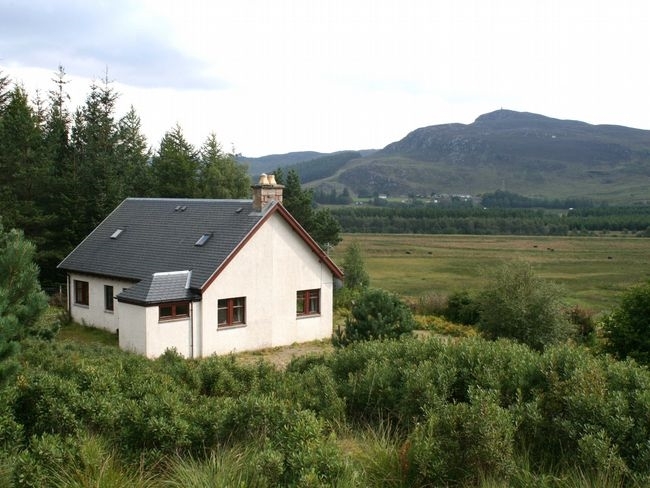 This ideal base to explore the peaceful countryside with the chance to see a wide variety of wildlife from Golden Eagle or Osprey to Red Deer Stag and Pine Martin. 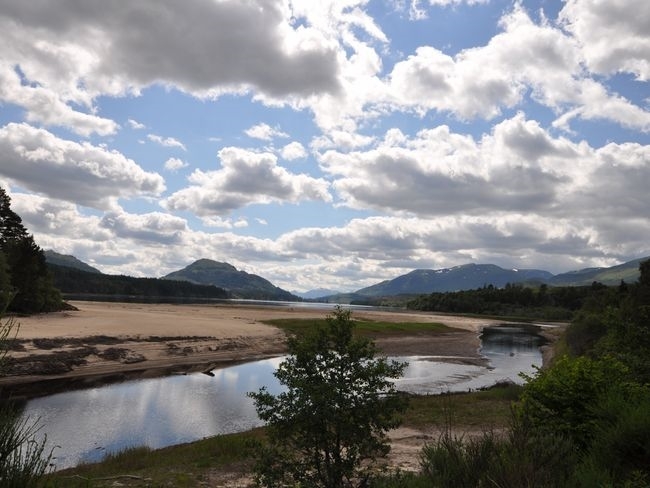 A range of outdoor activities include fishing golf pony trekking hillwalking and mountaineering. 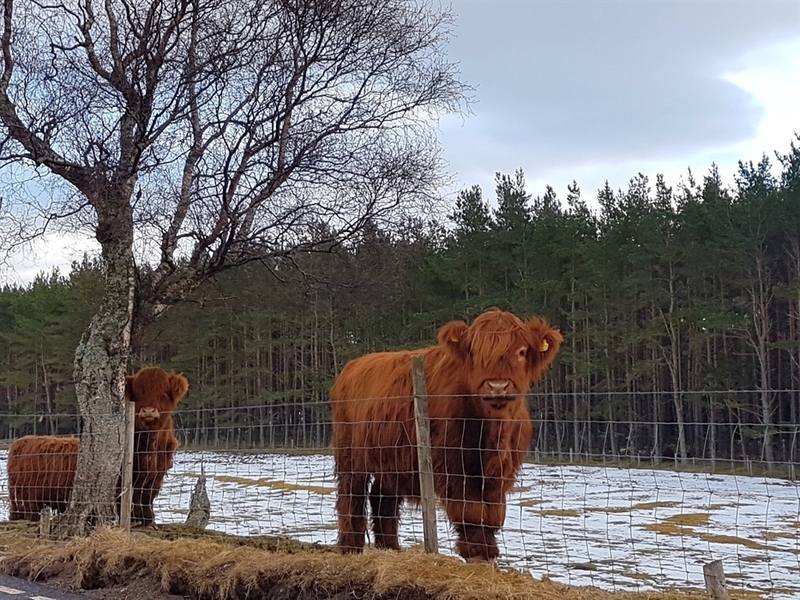 Within driving distance to Aviemore and Fort William Ski resorts many whiskey distilleries Landmark Adventure Park Kincraig Wildlife Park. 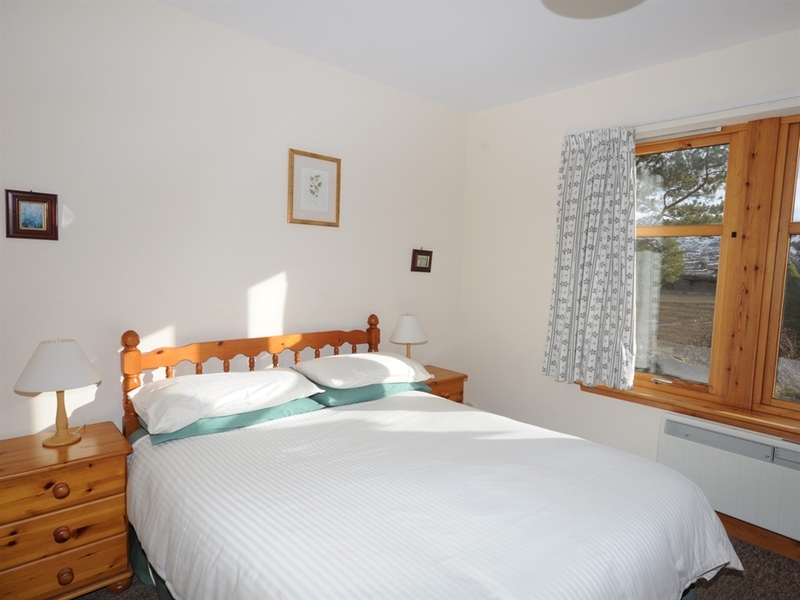 The accommodation offers THREE bedrooms: 1 double with en-suite shower room 1 twin and 1 single. Bathroom: with bath. Lounge: Freesat TV DVD Player and open fireplace. 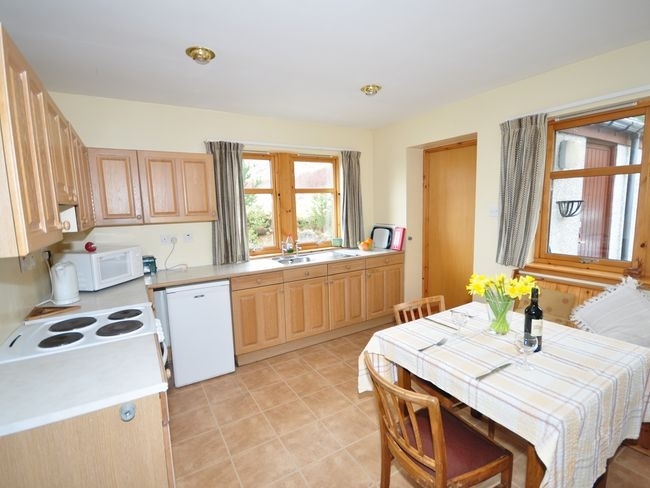 Kitchen/diner: electric oven radio fridge microwave washing machine and tumble dryer. Utility room. Outside: natural open wooded area. 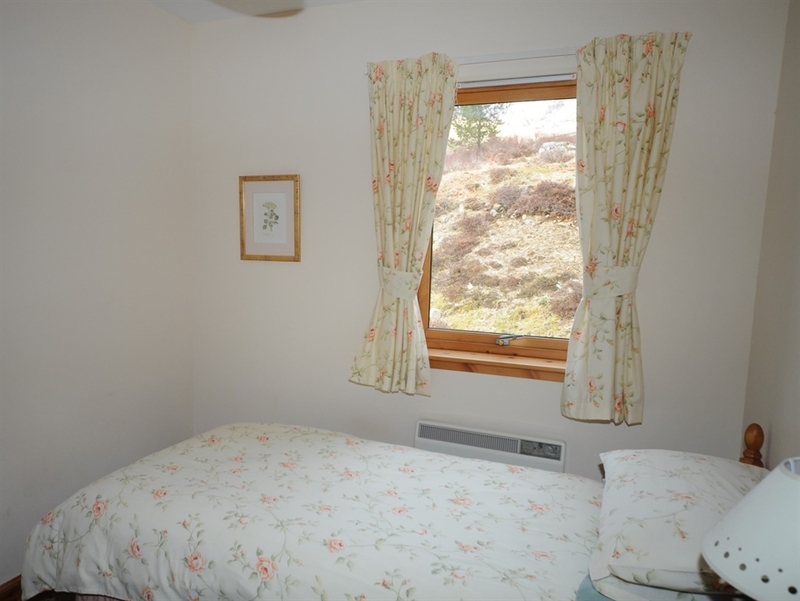 Amenities: Ample parking Wi-Fi bed linen electric central heating and initial supply of solid fuel included. 1 small dog welcome. Additional info: extra solid fuel can be purchased locally. Short breaks accepted in off peak seasons. 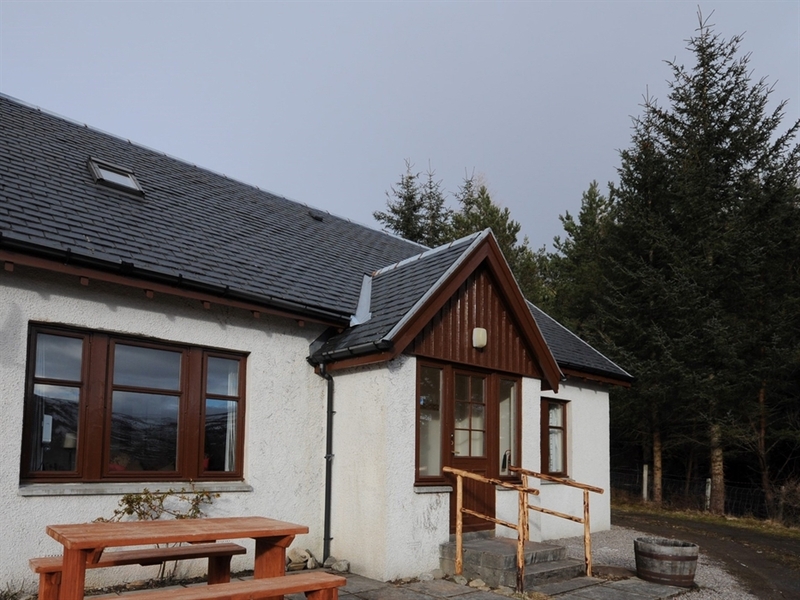 Location: The Laggan Hotel 1 mile away has a bar and restaurant open to non-residents food and fuel can be purchased in Newtonmore 15 mins away by car Inverness 50 Miles away. Arrival: 4pm. 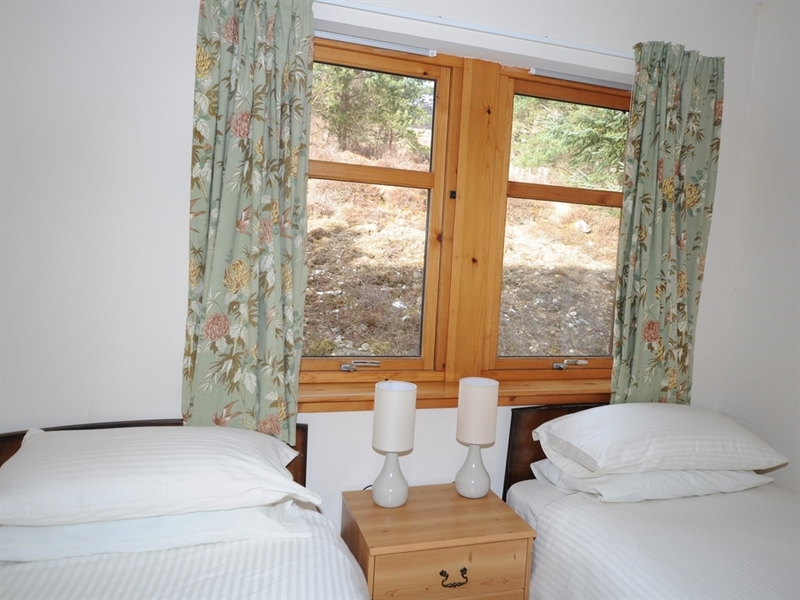 New for 2018: We have upgraded the en suite bathroom to include an electric shower and have had substantial work done in the grounds of the cottage; all the beds have new high quality mattresses to help you to have a restful stay and take full benefit from the peace of Laggan!